There are legitimate concerns, but Dr. Hainline’s original proposal was the right one: We should begin targeted screening of some groups of college athletes — starting with those in sports that recent research indicates pose a high cardiovascular risk, such as basketball and soccer. Last March, the N.C.A.A.’s chief medical officer, Brian Hainline, announced that he was going to recommend that all male college basketball players undergo an electrocardiogram, which measures the electrical activity in the heart, presumably as a requirement for being cleared to play competitively. He said his action was in response to research suggesting that the risk of sudden cardiac death in Division I basketball players was about one in 5,200 per year, much higher than previously thought. However, Dr. Hainline backed off his proposal after an outcry by about 100 college team physicians who questioned the use of electrocardiograms, or EKGs, as a screening tool for these athletes. EKGs can appear abnormal even in the absence of heart disease. These false positives, some physicians argued, would create a lot of unnecessary secondary testing, anxiety and sidelining of athletes, not to mention potential legal liability. The N.C.A.A. is currently developing guidelines for managing sudden cardiac arrest in its athletes. Expected to be released later this year, the guidelines are likely to endorse a standardized questionnaire on medical and family history, more training in CPR and increased access to automatic defibrillators. However, they will almost surely not include EKG screening. Several important organizations, including the European Society of Cardiology, the International Olympic Committee and FIFA, soccer’s governing body, recommend EKG testing for competitive athletes. But in the United States, EKG screening is reserved only for professional athletes. (Italy and Israel mandate EKGs for collegians also.) It is a disparity that needs to be examined closely. 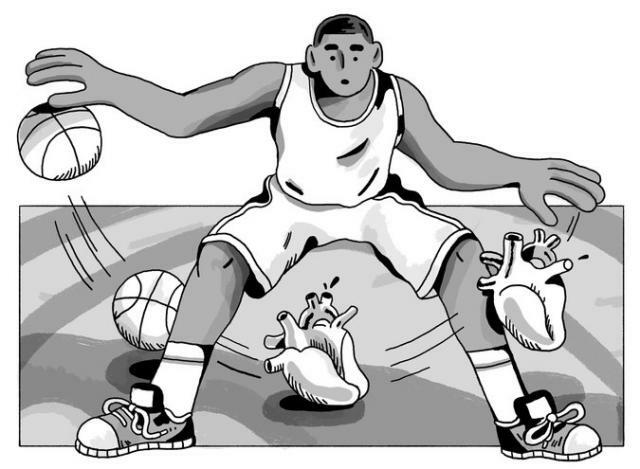 Nothing suggests that college athletes are at any lower risk of sudden cardiac death than professionals.